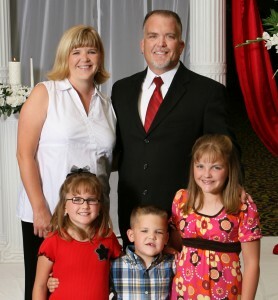 Biography: While he serves through Tex Cox Ministries and as pastor of Abundant Life Christian Fellowship in Knox City, Texas, Tex has also ministered in a less conventional way; behind the wheel of a race car in short-track racing. With "WWJD" (What Would Jesus Do) decals on the car's hood, Tex and his Jesus Freak Racing Ministries spread the Gospel on track from 1999 to 2005. After hearing from the Lord, Tex set aside his racing ministry and sold his winning car - to a soldier stationed in Iraq. Not only did the soldier serve his country, but he also asked Jesus to be his Lord and now serves his God! "Our vision is to preach the Good News to the downtrodden, the outcasts of the world, the ones people generally tend to overlook, showing them the power of God through Christ Jesus and teaching them how to go beyond the Cross of Salvation and into the Kingdom of God, thereby living the life of victory God intended for us from the very beginning," Tex says. Strengths: Tex has a passion for people. He is a gifted pastor, teacher, communicator and motivator. Tex believes he was born to preach and race.